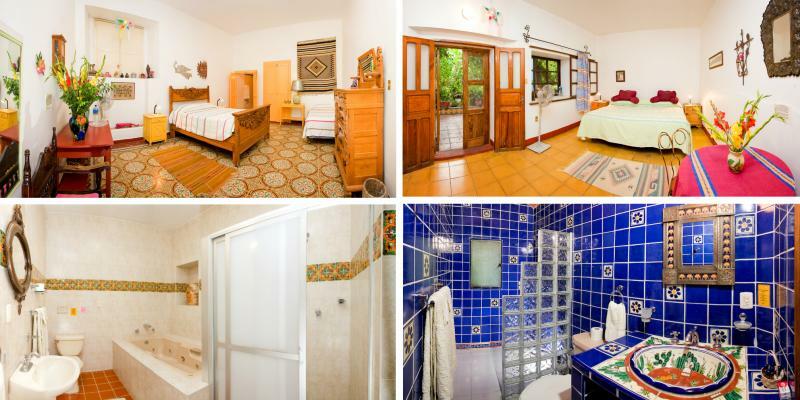 We have one family suite, eight other double rooms, and two single rooms, all with private bath, plus two smaller single rooms that share a bath. Our rooms are attractive, comfortable, and scrupulously clean. All our rooms open onto covered verandas surrounding the gardens or onto patios. They are different from each other, and include rooms with king beds, with two twins, and with double-and-twin.